Fort Ethan Allen Park (3829 N. Stafford Street) will host Civil War re-enactments as part of a daylong showcase this Sunday for new interpretive features at the park. 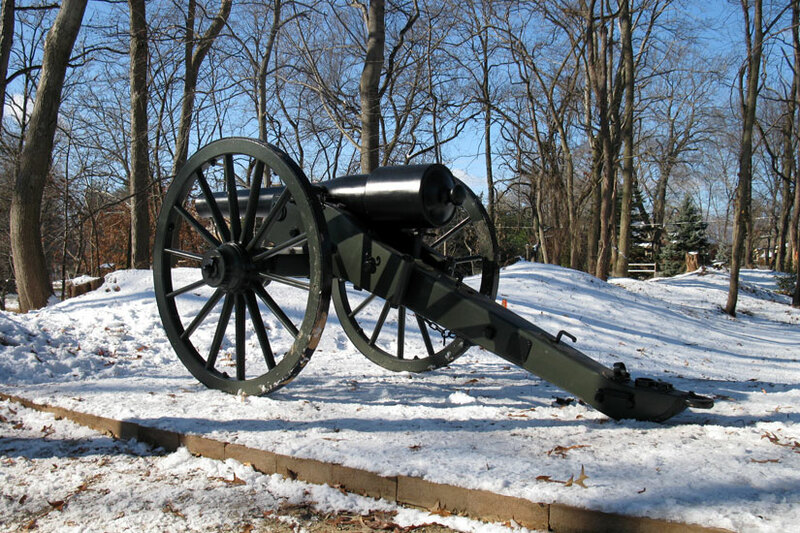 Starting at 10:00 a.m., members of the Arlington County Board and the Old Glebe Civic Association will be on hand to unveil a replica cannon, three new viewing areas and nine new interpretive signs, all built as part of the Fort Ethan Allen Interpretive Project. In addition, a built-to-scale bronze replica of the original Fort Ethan Allen — which was built by the Union as part of the defense of Washington, D.C. — will be unveiled for the public. The project was funded after Old Glebe requested it as part of the Neighborhood Conservation Program and the Board approved it in 2010. Construction began last fall. The event will include speeches from county officials and community members, refreshments, a tour of the fort, and it will conclude with a hike from Fort Ethan Allen Park to one of the two other remaining Civil War forts in Arlington, Fort Marcy.